Nothing can derail and undo all of the hard work you’ve put into implementing proper fall lawn care practices quite like unexpected soil erosion and runoff. In case you’re wondering what these terms mean, soil erosion occurs as a result of strong environmental elements such as wind or rainfall pushing your soil into other parts of your property or removing it completely. Runoff occurs when water runs over your topsoil and exposes the subsoil. Fortunately, under the advisement and guidance of a local lawn and garden care professional, there are a series of useful measures you can use in order to prevent this from happening to your carefully designed, constructed, and maintained outdoor space. Whether you’re working on a residential, commercial, or industrial property, you can use the following tips as preventative measures against damage caused by soil erosion. Different forms of heavy precipitation such as rainfalls and melted snow are the biggest culprits when it comes to causing soil erosion in your yard. Without installing a proper water drainage system, you run the risk of allowing water to collect in various parts of your yard. Eventually, this excess standing water will penetrate the surface of the ground and seep into the middle and bottom layers of soil, breaking it up and weakening its nutritional and structural integrity. This will basically render it unusable and devoid of the vital vitamins and nutrients required to help keep your plants, shrubbery, and grass alive. Ironically, certain plants, shrubs, grass, and mulch can actually serve as effective preventative barriers between the natural forces that cause soil erosion and runoff. Just make sure that you plant them early during the fall season and research which greenery is most appropriate for your specific lawn. In situations like this, it’s always best to use plants that are native to your geographical region to guarantee that they’re equipped to withstand the various environmental factors that occur naturally. 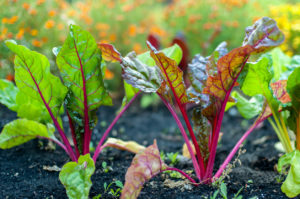 Planting foreign greenery could lead to serious environmental problems that’ll counteract everything you’re hoping to accomplish with your garden care efforts. Leaving water on commonly used walkways that are part of your property is a huge mistake when it comes to proper lawn care because it’ll result in a whole host of potential foreseeable issues for you. As the weather gets colder, this water will eventually freeze up and, forgetting about the potential for structural damage, neglected frozen water—in other words, ice—could be a huge liability for you. It’s best to drain this water before it gets to the point of turning into ice, which is a lot harder to remove. Retaining walls, otherwise known as terracing walls, are an excellent way to prevent runoff from occurring on steep-sloping landscapes. They’re stylish and they act as a sturdy barrier between your land and walkways, effectively preventing the soil from being blown or whisked off of your grass by strong winds or heavy rainfalls. For more in-depth and valuable advice on thwarting soil erosion and runoff, contact the lawn and garden care specialists at FOREVER GREEN LAWN & LANDSCAPE INC. We’ve been helping property owners in Toronto and the GTA plan, build, and uphold beautiful outdoor spaces for over 20 years and we’re always happy to offer complimentary consultations for all of our existing and prospective customers.